« Madame Tussauds Orlando Featuring Wax Figure of Walt Disney! 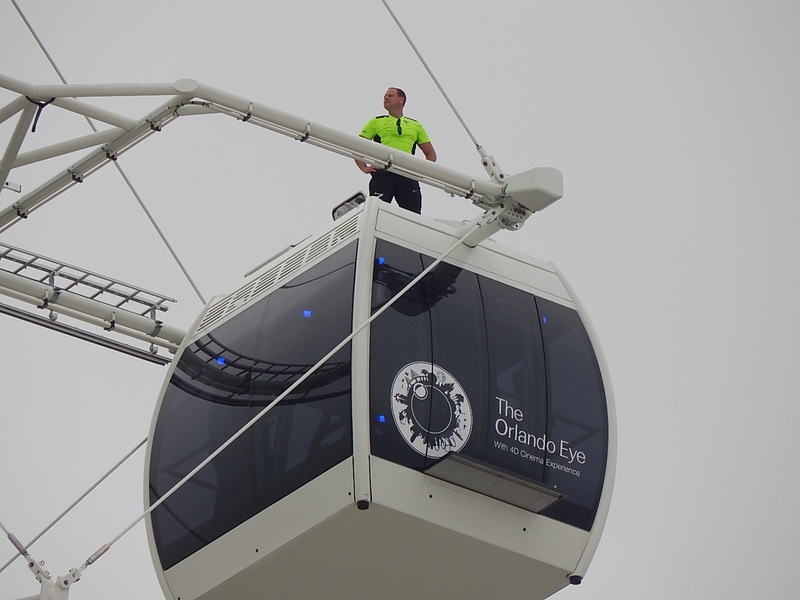 Early on the morning of Wednesday April 29, media gathered to watch Nik Wallenda walk across the top of the Orlando Eye without any kind of balance pole or tether. 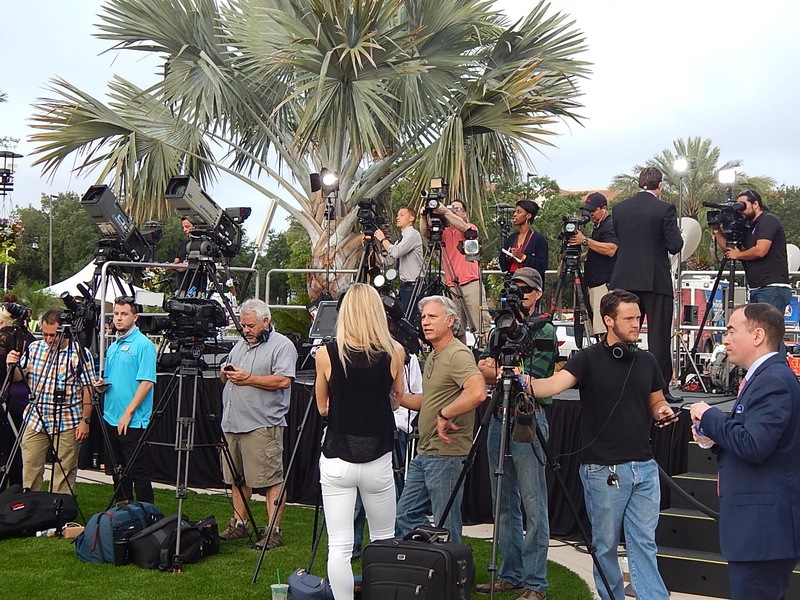 Media poured in from all over the state with their cameras pointed to the skies to capture the moment, which was also being broadcast live on The Today Show on NBC. 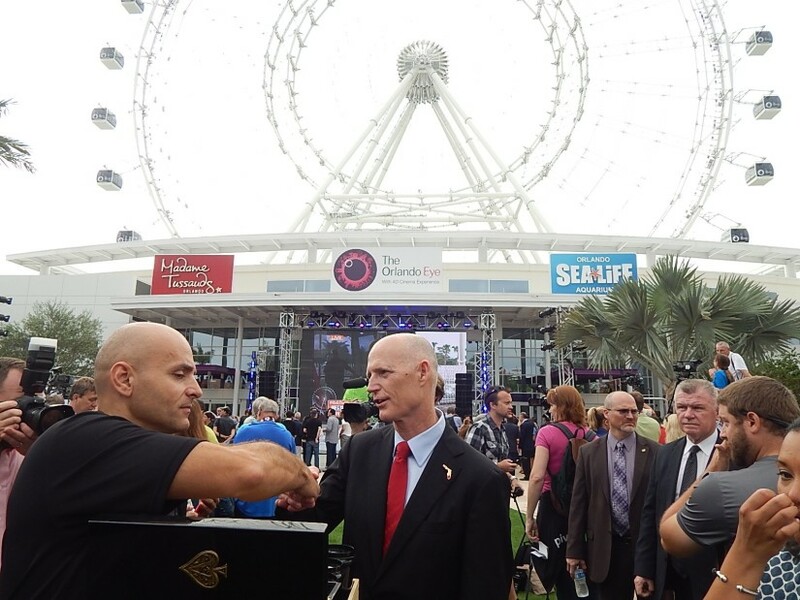 Even Florida Governor Rick Scott came out to watch the spectacle and see Wallenda walk the Eye. Those of us on the ground were treated to a live feed of the Today Show via a giant screen.This gave us a unique advantage of seeing what cameras were capturing via helicopter, as well as from our seats on the lawn. 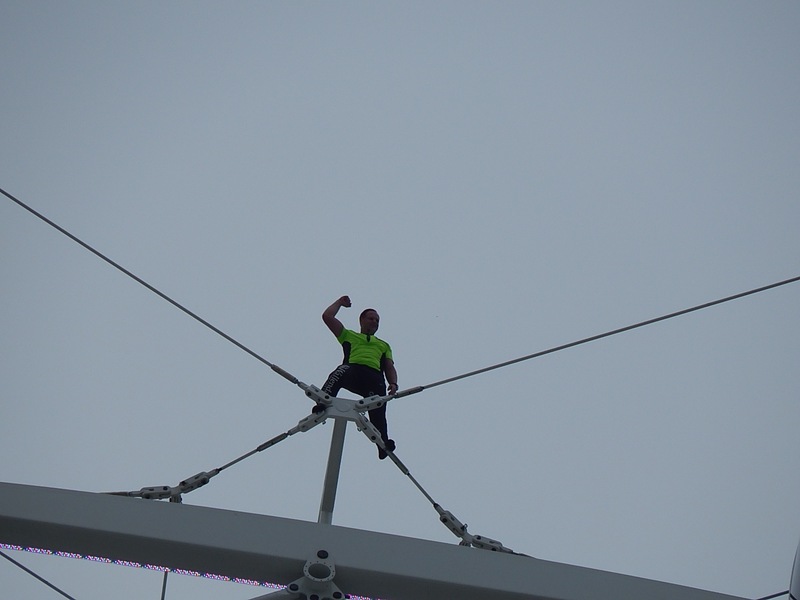 Nik Wallenda set a Guinness World Record by walking across the top of the Orlando Eye. This was a given as long as he even attempted it considering this was a first for anyone, anywhere! If you’d like to see what it looked like from the ground, check out my video below! 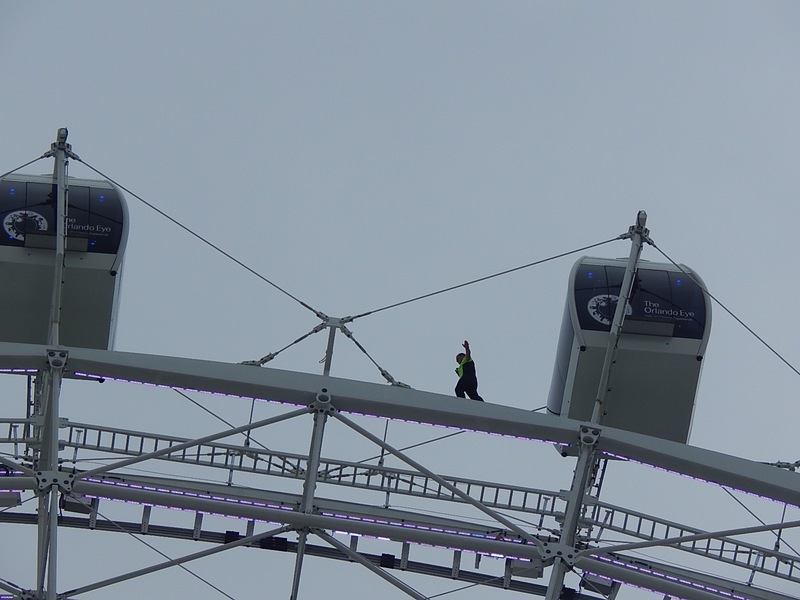 Once Wallenda made the record-breaking walk, he decided to ride a capsule back down to safety, on top, of course. 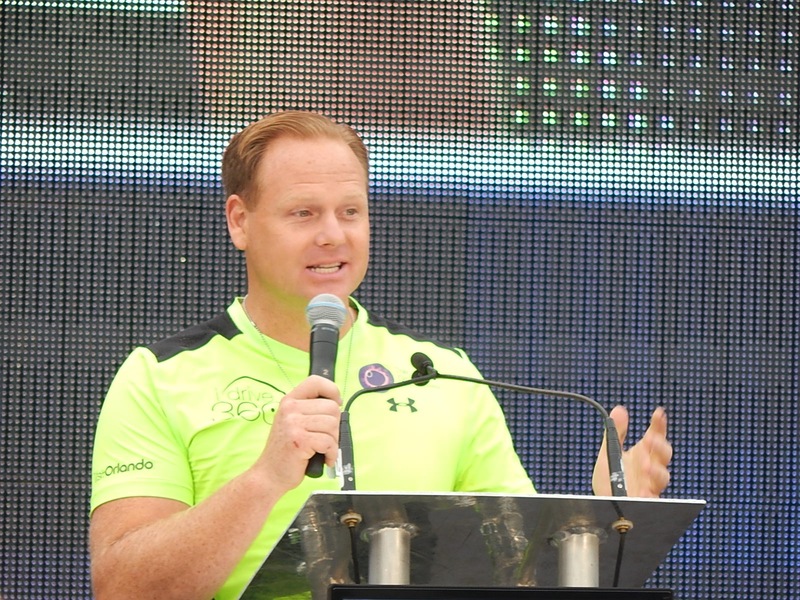 Once on the ground, he addressed the crowd saying he does these daring stunts to inspire people to push themselves further.If you’re unfamiliar with Nik Wallenda’s work, check out this article I did on him when he starred at a show at Darien Lake! 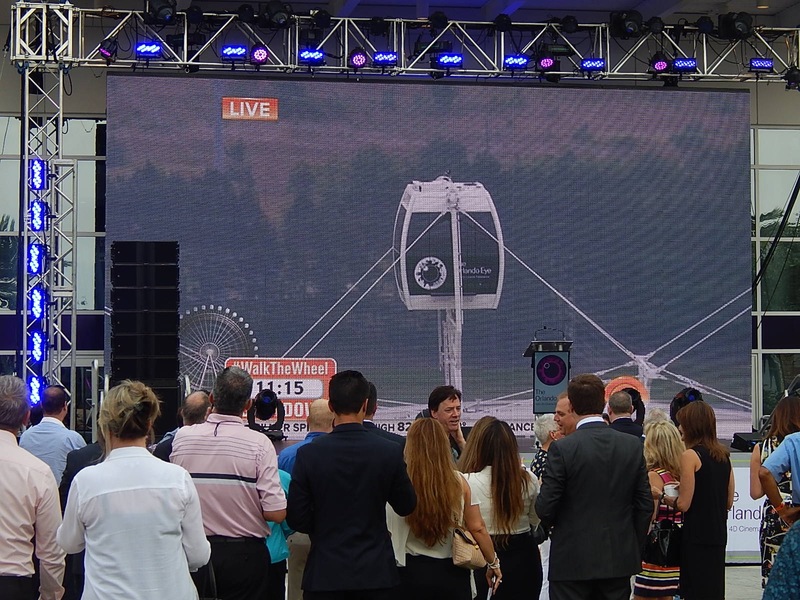 Once all the excitement died down, we, the media, were given a chance to ride the Orlando Eye for ourselves.. 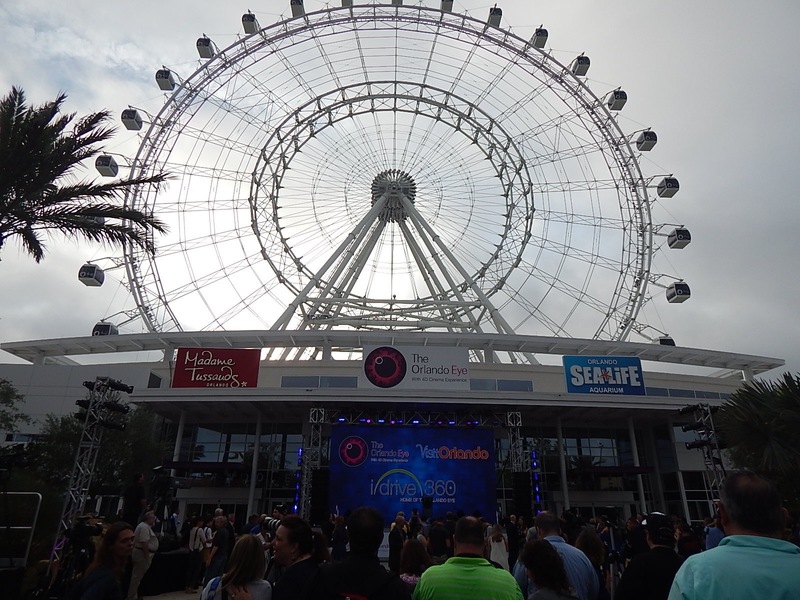 The Orlando Eye is part of the new I-Drive 360 complex which includes the observation wheel, Madame Tussauds Wax Museum and Sea Life Aquarium. 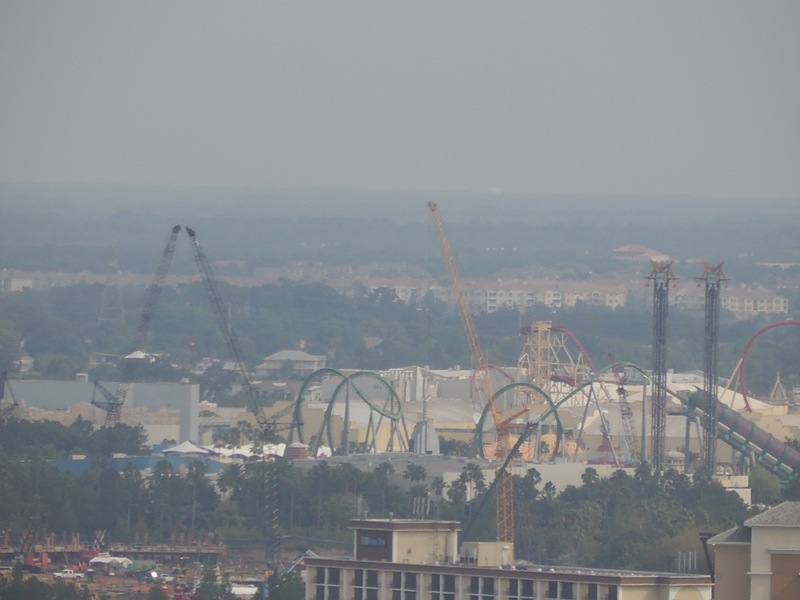 Considering these are all Merlin Entertainment, you can bundle all these attractions together with a Legoland Florida ticket and there is even a shuttle from I-Drive 360 that will take you to the park! Before taking a spin on the wheel, guests enter a 4D pre-show that gives a preview of what sights you’ll be able to see. It also doubles as an advertisement for tourism in the state of Florida. 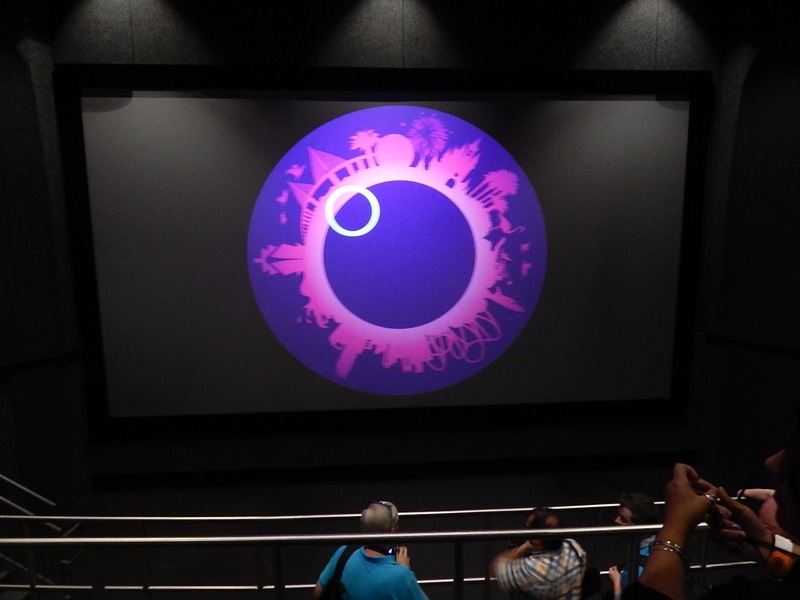 Much like the queue video for Soarin at Epcot, overhead monitors give guests a preview of what they might be able to see on a clear day. 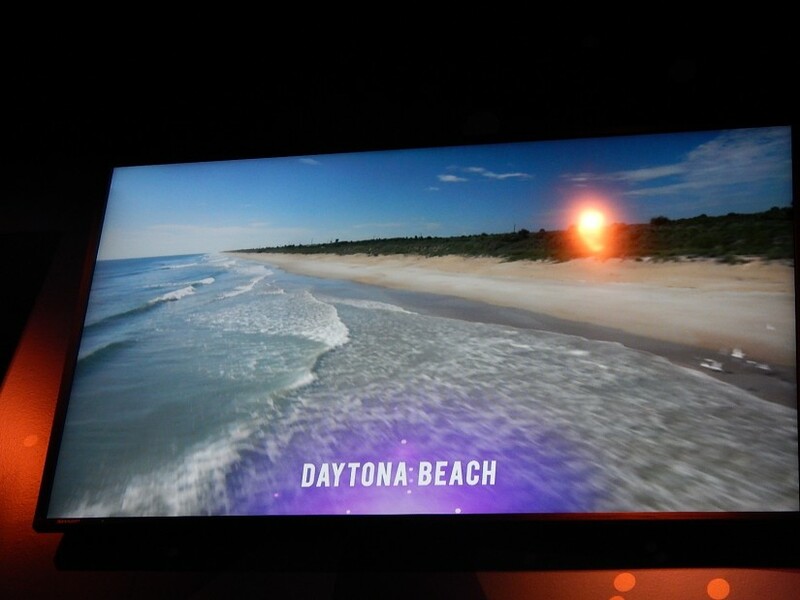 Daytona Beach is stretching it, but you can certainly see Disney, Universal and nearby landmarks. While they didn’t allow any photography or videotaping of the pre-show, it lasts about 5 minutes and follows the story of a young girl who has dreams of being an astronaut. Visually, it’s a well shot and edited film, the story and dialogue is a bit contrived. 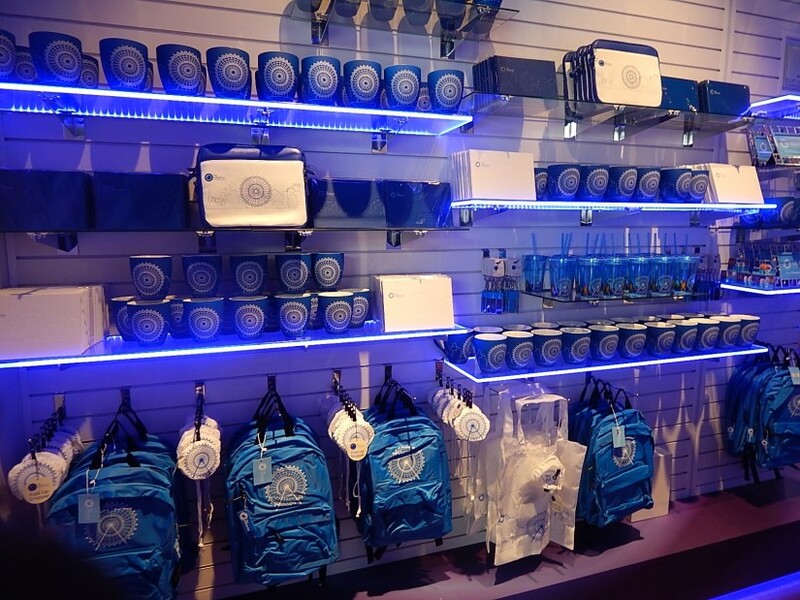 However, a 4D movie is a bonus to the main attraction anyway. 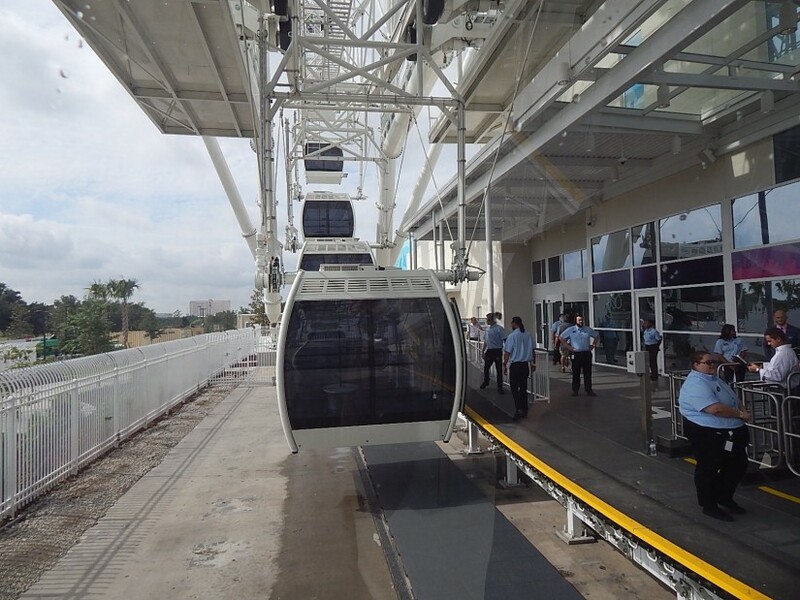 The wheel never stops unless needed for boarding with guests needing special assistance. 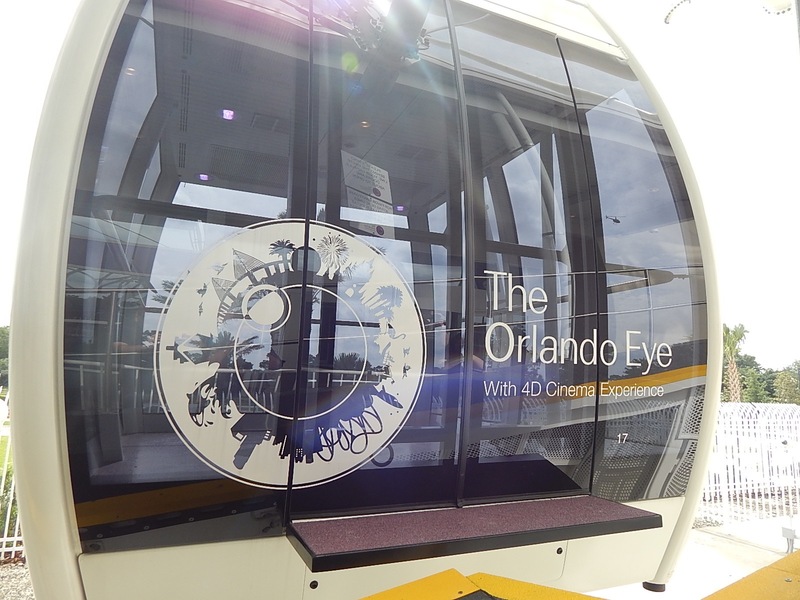 Each of the 30 capsules holds 15 guests at maximum capacity and has a central seating area. In total, the ride clocks in at just under 20 minutes to make a full revolution. 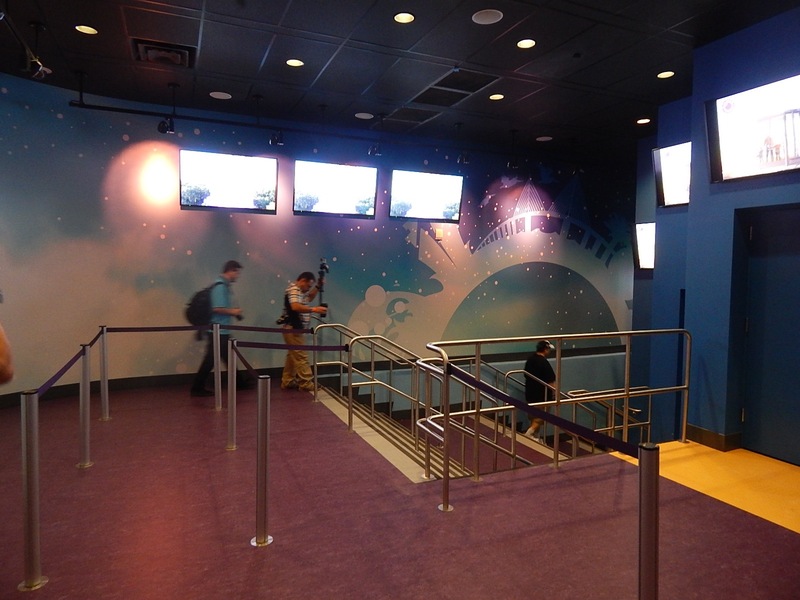 Including the pre-show and queueing it should take half an hour once through the turnstiles to experience the entire attraction. 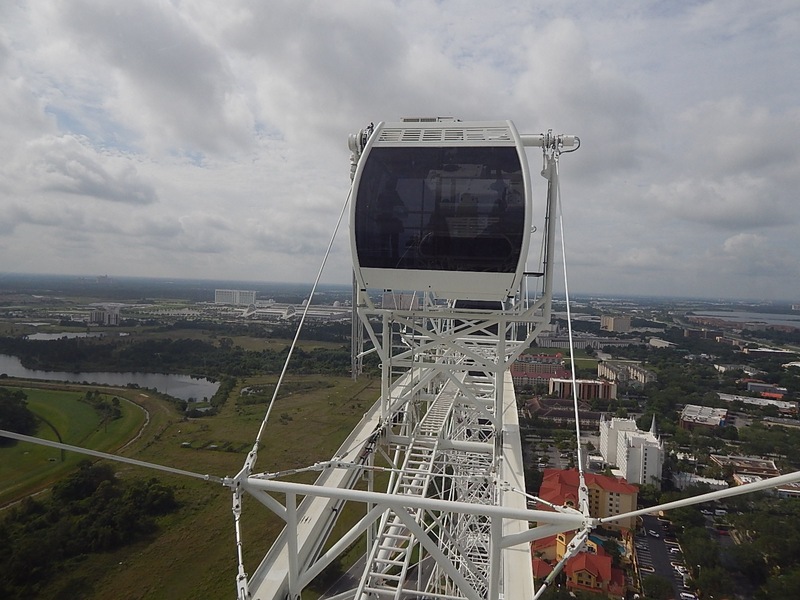 The top of the Orlando Eye reaches 400 feet in the air. 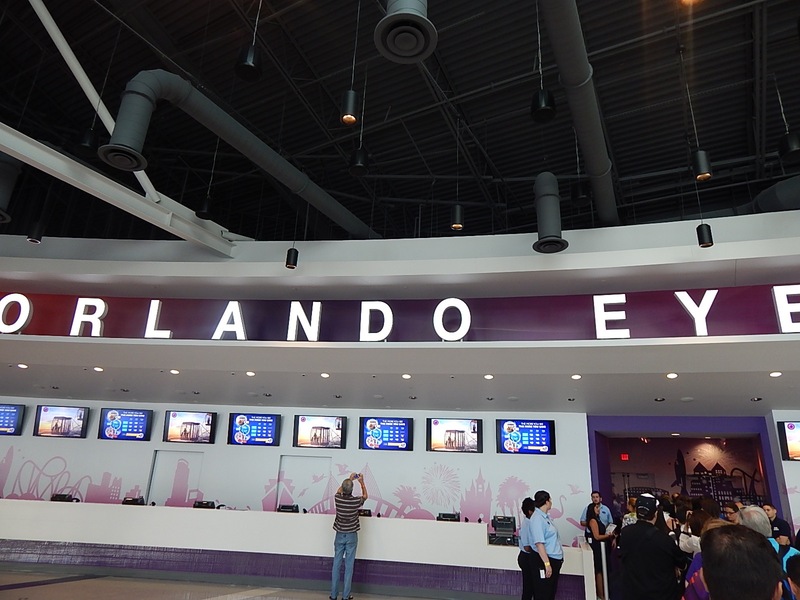 Intamin designed the Orlando Eye and it stands as the tallest one of its kind on the North American East Coast! Each capsule features dual air-conditioning systems in case one malfunctions, the other kicks in. There is also an on-board Bose sound system and color-changing LED lights which can be seen at night within the cabin. If you’re interested in taking a spin, I recommend a very clear day so you can see all the local attractions and beyond. I plan on making a trip back to see the fireworks from area theme parks soon! For more information visit https://www.officialorlandoeye.com/ and make sure to follow Theme Park University on Twitter and like our Facebook page! Doing any online shopping? Click on any Amazon links on this page and it helps TPU pay the bills and costs you nothing extra! 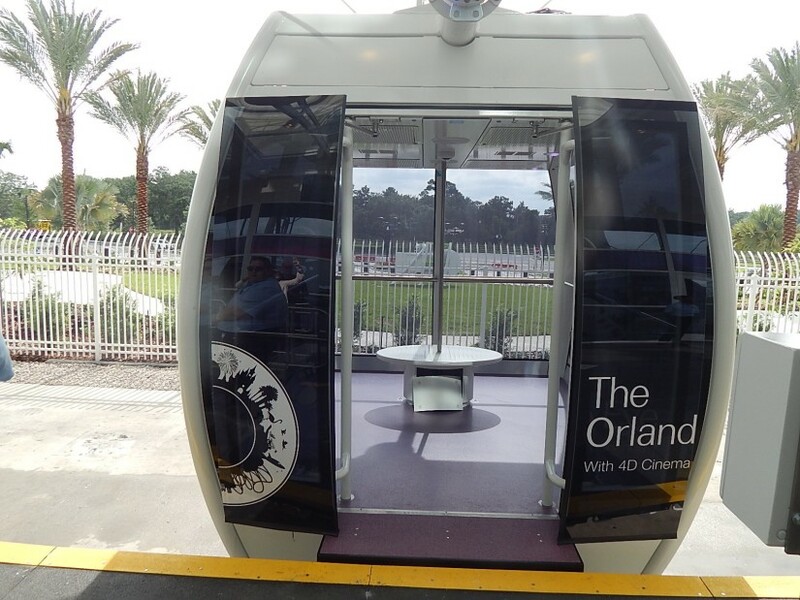 This entry was posted in Attractions, Outside The Parks and tagged I-Drive Live, Merlin Entertainment, Nik Wallenda, Observation Wheel, Orlando Eye, Rick Scott. Bookmark the permalink. Trackbacks are closed, but you can post a comment.